With Mother's Day coming up on March 15th I thought I would share a few great ideas with you. If you are looking for something unique this year then look no further. Not your usual choice for a Mother's Day gift. 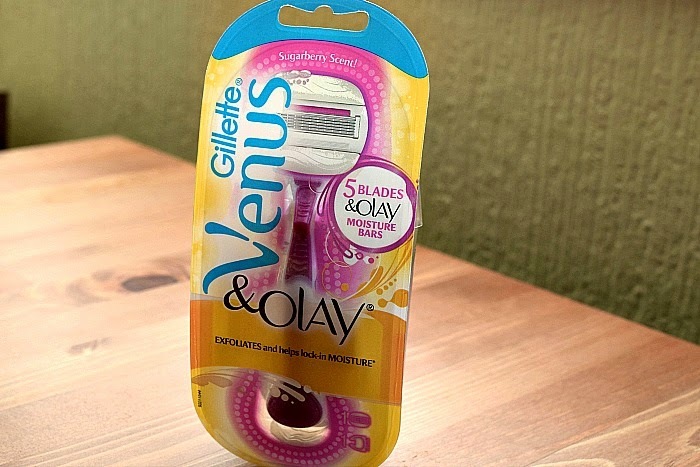 The Venus Sugarberry razor, with it's five blades and Olay moisturising bars locking in that moisture, it gives a real smooth luxurious feeling. It may be something she wouldn't think to buy herself but would enjoy using it. Great for women who enjoy pampering and grooming themselves. I have personally tried it and after many uses would definitely recommend it. The Venus Sugarberry has a RRP of £10.99 and is available at all major UK retail outlets. One of the best department stores in the country, I think House of Fraser has a false reputation of being an expensive store, when in fact as well as their more premium brands they stock a large range of lesser known and more affordable brands. Why not treat your Mum to a nice jacket or coat this Mother's Day? 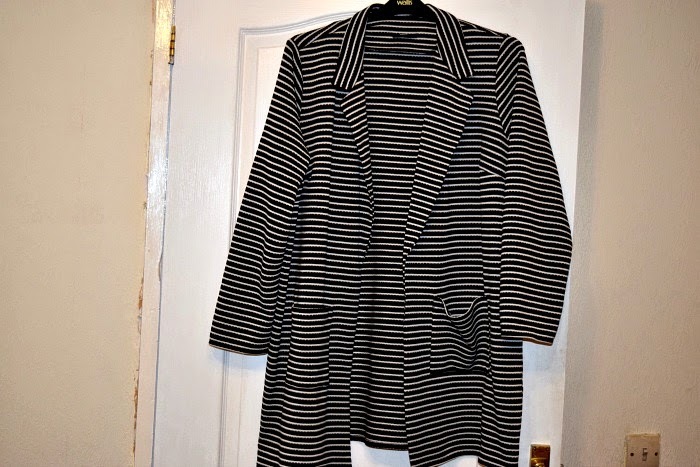 This Wallis Black Stripe Jacquard jacket above is perfect for Spring. It would look great on women any age or size. I have worn it as both casual and occasion wear and love it. 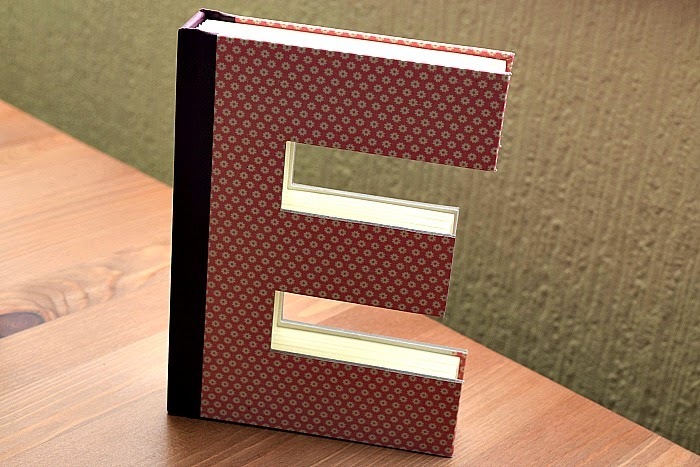 At just £20 in their most recent sale it shows you just what you can get for your money! If you are not sure on what style she would like you could always take her on a shopping trip or buy her a gift voucher to treat herself. You can see the full range of Jackets and Coats at www.houseoffraser.co.uk. 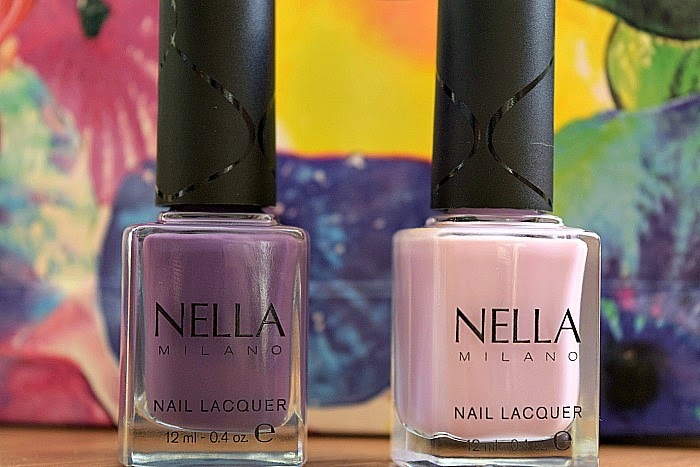 Another great nail product here. This one is for more professional looking nails. 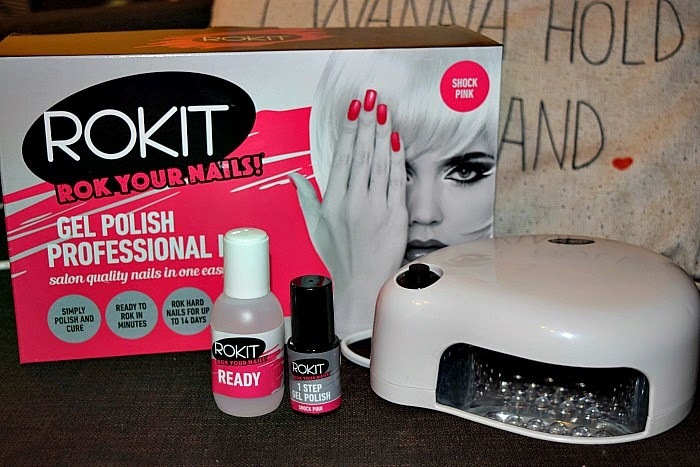 Rokit Gel Polish Professional kit promises a rok-hard, high shine and salon quality finish from the comfort of your own home. With an easy one step application this kit offers women salon quality nails that last up to 14 days in next to no time. The kit comes with a high performance LED lamp that promotes a super fast curing time as well as a built in treatment timer. The Rokit kit would make a great gift this Mother's Day especially for all those lovely mums that sacrifice their free time for their family, it is amazing how something as little as having nice nails can boost a woman's confidence. The Rokit Gel Polish Professional Kit is available from www.debenhams.com and is currently priced at just £63! (RRP £99.99). 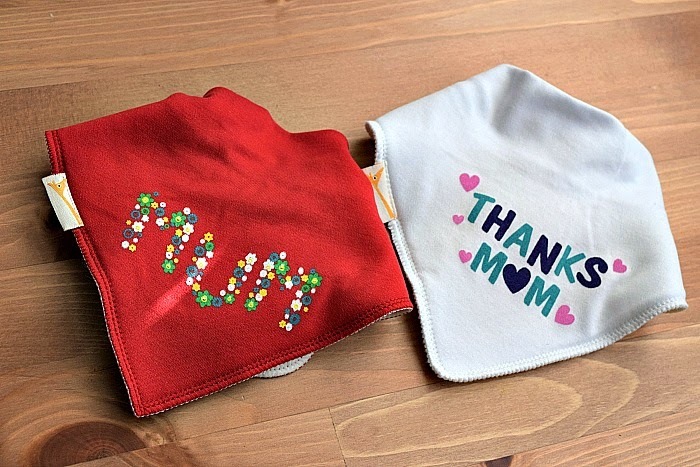 For Mum's of young children, it is always nice to receive cute home made gifts for any occasion. Just the proud faces when the children hand them over can be the best gift. Baker Ross specialise in arts and crafts at great prices. They have a huge selection of products for all occasions. You can see above, some of the Mother's Day crafts my kids have been trying out. At just aged 4 and 2 they have really enjoyed these crafts and needed only minimal supervision to do these crafts. The keyrings were the more difficult but I think they did so well. 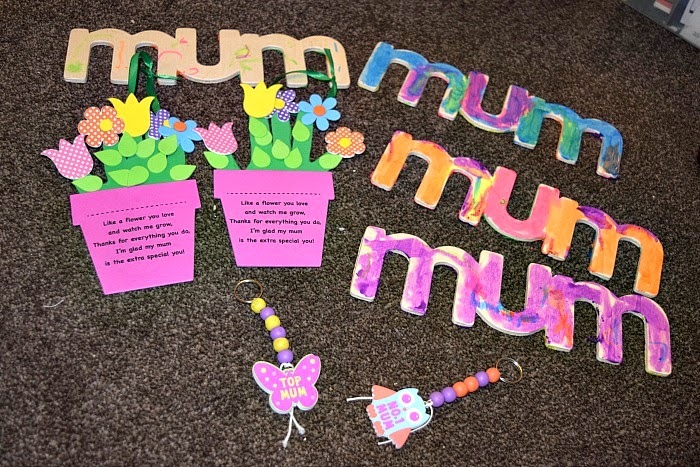 You can see the full range of Mother's Day crafts at www.bakerross.co.uk. 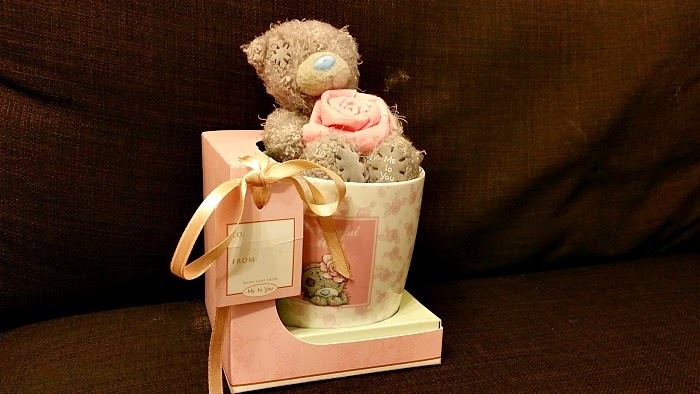 This 'Wonderful Mum Mug and Tatty Teddy' is a lovely gift for Mum. Either hand it over as it is or as an extra special treat you can use it to take her a nice cup of tea in bed with the gorgeous teddy on the side. The teddy would make a great keepsake for Mum and the mug will make her think of you (or your kids if you are a dad looking for ideas) every time she gets a moment to have a nice hot drink. The Wonderful Mum Mug and Tatty Teddy gift is available to buy at Clintons and has a RRP of £14. We received samples of some of products featured so that I could try before recommending. All opinions are completely my own.